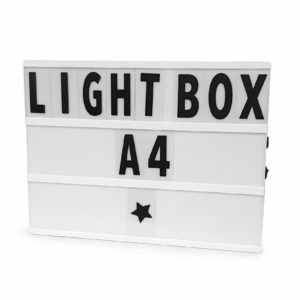 The Light Box is a fun way to add a personal message to any room for any occasion. Great for announcements (pregnancy, birth, milestone) or a quote of the day! Double letters, numbers and characters included in set.